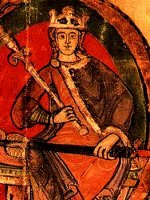 Ada de Warenne, Mother of Scotland’s Kings – History… the interesting bits! Next Article Isabella de Warenne, Queen of Scotland? ‘ll reblog this Sharon! 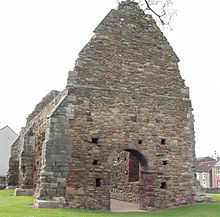 I wrote a blog post about the Cistercian Abbey of St Mary’s Haddington founded by Countess Ada and where the Treaty that betrothed Mary Queen of Scots to the dauphin was signed. Always mean to find more about this lady! She was probably buried at St Mary’s Unfortunately the Abbey Bridge & a few remains are all that’s left of the abbey. Thank you Marie. I agree St Mary’s is the most likely place for her burial, it’s such a shame that there is so little left. Thank you so much Sharon!!!! You’re welcome, Gail. I’m working on a couple more de Warenne articles at the moment, so please keep a look out for them. Saved like a favorite, magnificent web site! Pingback: Isabel de Vermandois, – History… the interesting bits! Hi! I’m reading the third novel in Elizabeth Chadwick’s trilogy of Eleanor of Aquitaine. The de Warenne family interested me too. The information on your website was excellent.